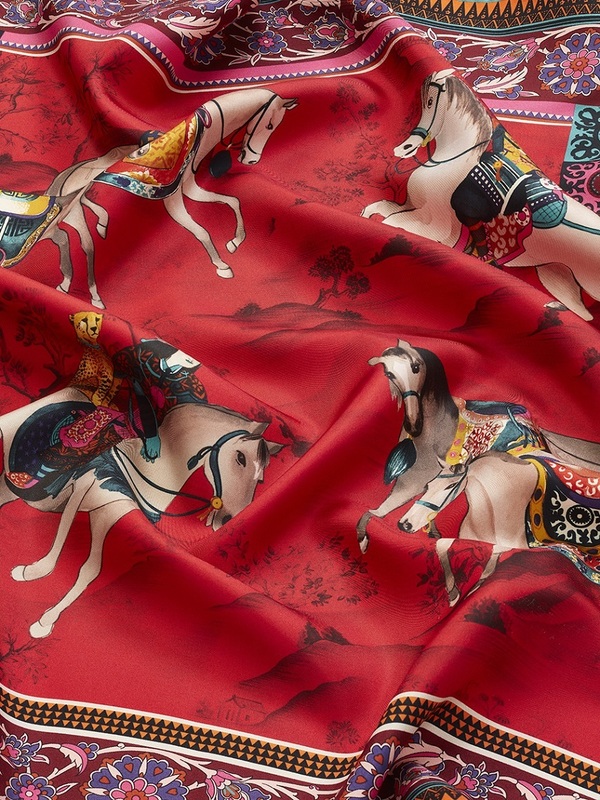 Horses and their aristocratic knights are the leading actors in this timeless print, exclusive to the Shanghai Tang brand. 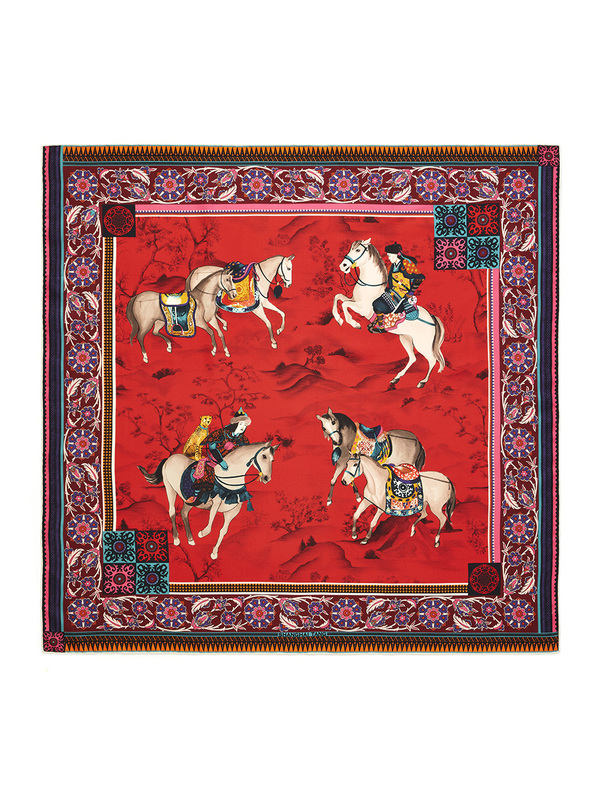 Incorporating Chinese history, this silk twill foulard is framed with an intricate, striking border and crafted by Italian masters. 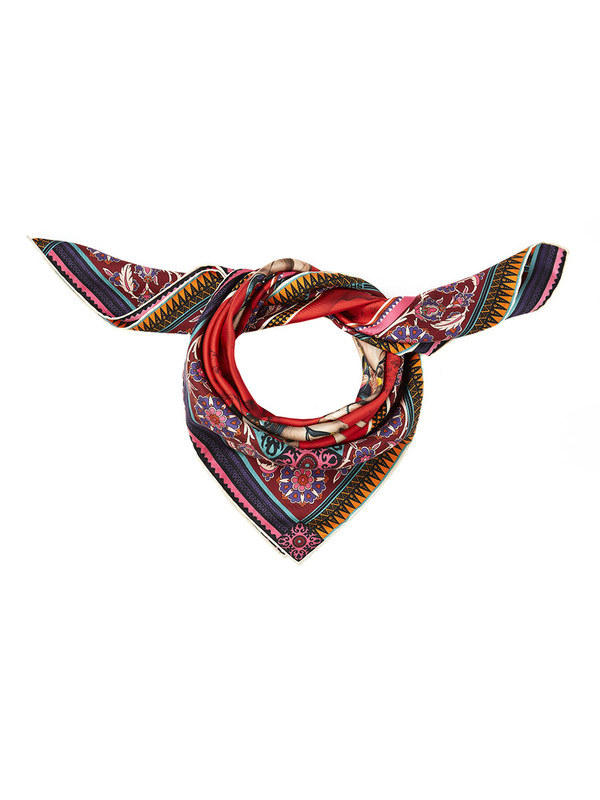 Colours: Navy, Black, Red Size: 90 x 90 cm Made in Italy.